Our Practice - Eye Care Management, P.C. Dr. Randy W. Ash has been serving Durango area since 1989. Dr. Ash did his undergraduate work at Brigham Young University, and received his Doctor of Optometry from the Illinois College of Optometry. Active in the American Optometric Association for over 20 years. Dr. Ash has also served on the Colorado Board of Optometric Examiners for 8 years. Extensive experience in the treatment and management of eye disease, hard to fit contact lenses, glaucoma, diabetic eye care and pediatric eye care. Diabetes may affect many areas of the body. The eyes are no exception. Diabetes can produce varying degrees of vision loss. In fact, it is a leading cause of blindness in the U.S. today. Diabetes threatens vision because it may damage the retina, the delicate inner lining that sends visual messages to the brain. 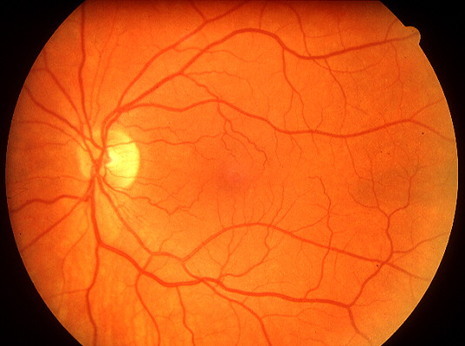 Diabetic retinopathy, is "silent" with no outward symptoms in its early stages. It's not until the later stages that vision loss is noticeable. Anyone who has had diabetes for more than 10 years is a prime target for diabetic retinopathy. Detected early, it can be monitored and treated most of the time. Left untreated, it may lead to blindness. Early detection and treatment is the key to preventing loss of vision. Most diabetics will develop some form of diabetic retinopathy. That's why constant evaluation is so critical. If you are diabetic, an exam is recommended each year. If you have poor control of your blood glucose, high blood pressure or protein in the urine, exams should be more frequent. A serious eye disease that usually strikes adults 35 years and older, glaucoma is caused by a build-up of pressure inside the eye. This excessive pressure can cause the retinal cells and optic nerve fibers to die. ​Left untreated, glaucoma may lead to total, irreversible blindness. Glaucoma is often called the "sneak thief of sight" because, in its most common form, it progresses gradually before victims realize they're losing their sight. The loss of sight starts at the sides and continues toward the center until a small field or "tunnel" of vision remains. Eventually all vision may be lost. 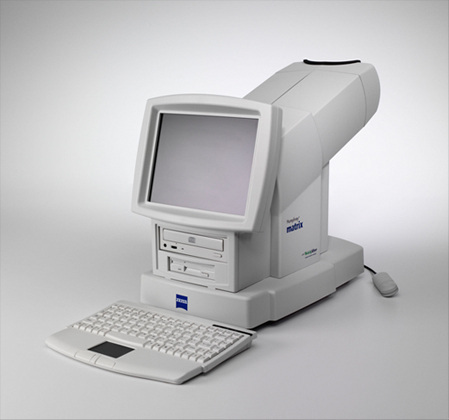 Sight lost to glaucoma cannot be restored, but glaucoma can usually be controlled if it is detected in time. Because it is silent and strikes adults, it is important for people over 35 to have a periodic eye exam. A disease that affects people of all ages, Dry Eye Syndrome is characterized by eyes that have a burning, itchy, gritty sensation. Normally, tears keep the eye moist and comfortable. Sometimes, however, the eye stops producing tears, resulting in dryness and irritation. When the eyes are dry they can become so uncomfortable that it may be painful to keep them open. But, for some people, the eyes become watery as other glands in the eye overproduce fluids to compensate for inadequate tears. ​There are many causes of Dry Eye Syndrome, ranging from the aging process to the environment. Cigarette smoke, lack of humidity and certain medications can also cause or aggravate Dry Eye Syndrome. Three very thin layers make up the healthy tear film that coats and protects the eye. They ensure that tears do not evaporate. When tears lack any of these components or when too few tears are produced, the tear film breaks down. This breakdown results in dry spots in the cornea, causing the symptoms associated with Dry Eye Syndrome -- grittiness, burning, itchiness and general discomfort of the eye. Various types of treatment are available to relieve the symptoms associated with Dry Eye. Artificial tear solutions are usually recommended for individuals with mild to moderate cases. Many different brands are available and can be purchased without a prescription. More severe cases of Dry Eye Syndrome may warrant Punctal Occlusion. This Punctal Occlusion can alleviate pain and dryness by sealing the tear drainage system in the eye. This causes natural tears to remain in the eye longer, reducing irritation and discomfort.